Lets take a closer look at the camera. The layout of the buttons are identical to that of the M10+ that we reviewed earlier. Power and action on top and are also exactly the same size. I personally do not like this because some times I mount the camera upside down where the left and right gets confusing. Not a deal breaker but rather a personal annoyance. The other shape as in the 5000x or 5000+ there is only one button on the top and I find that more effective. On the right side we have up and down button. On the left we have the two ports for USB and HDMI and a slot for micro SD. At the rear face we have the LCD screen and speaker grills. At the bottom we have the the new and improved battery compartment. I’ve been complaining about the poor battery compartment covers in other SJCAM cameras in the past. This time its just joyous. There is a little notch to slide the cover out and lift politely. Underneath the plastic cover there is metal reinforcing that makes part of the hinge as well. All works flawlessly, they have finally done it. But they changed the shape of the battery. Thats right. All of the SJCAM cameras that I have interchangeably work with each other’s battery. But not this one. 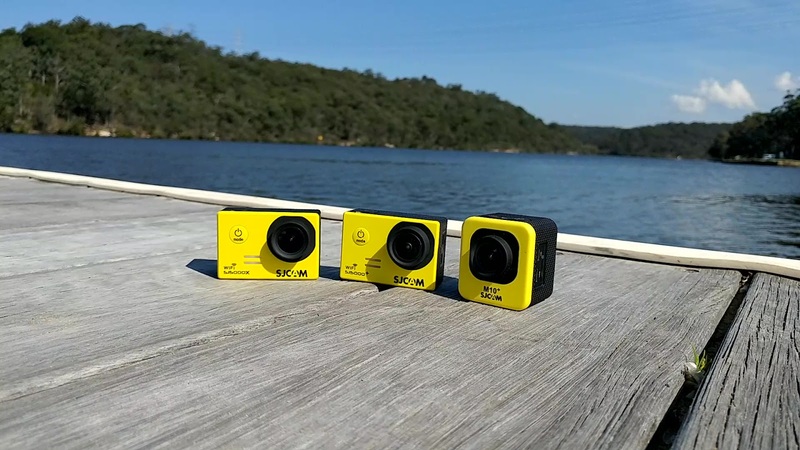 Now to most this is not an issue if the M20 will be their first and most likely only action cam. But those who has any other model from SJCAM will have to be cautious. On the subject of battery, the battery life is not bad, it has same 900mAh capacity as other models. A single charge lasts about an hour of operation with Gyro on. It may last a bit longer. With regards to the shape of the camera. 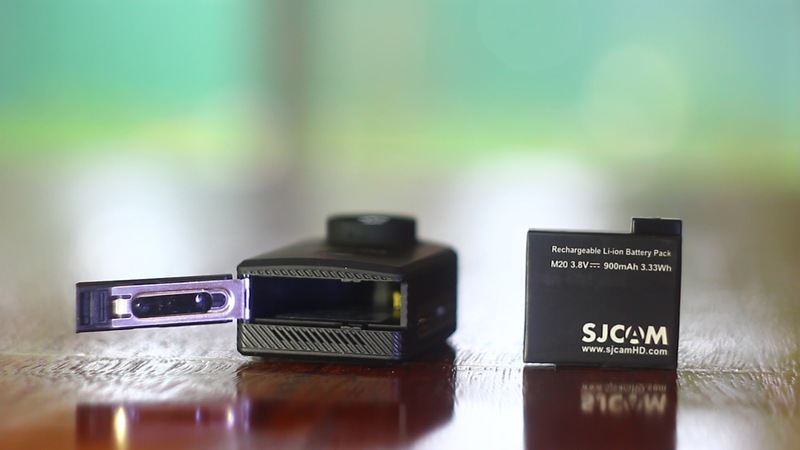 SJCAM is boasting that the M20 is their smallest to date. Meh.. not by a drastic measure. But they also claim that it is lighter. Well, that it is. Normally it would not matter, but if you intend to use drones and stuff, these few grams may make all the difference. Before we move on to the performance of the camera. Let us quickly discuss the internals. 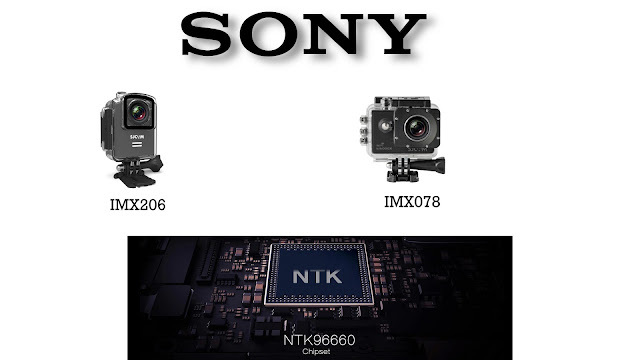 The M20 uses a Sony IMX206 Sensor boasting a 16MP count. This is a different sensor from the 5000x which used a IMX078 Sensor. However both these cameras use Novatec NTK96660 processor. Which is a little bit concerning. You see, The NTK96660 chip had been used in past two SJCAM Cameras that I reviewed, and it appeared to be a bit of a bottleneck. Ok lets dive right into the heart of the matter. 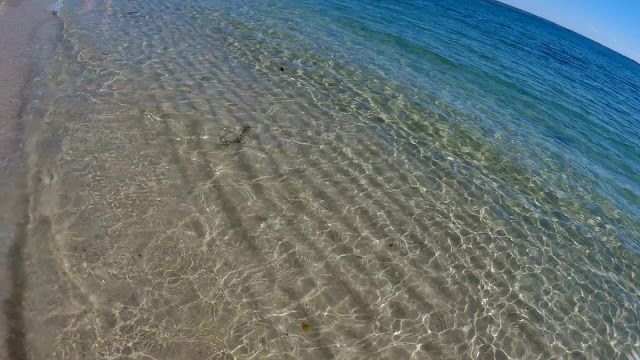 The camera’s performance. The short answer is that it is good. But of course I’m about to give you the long story just in case. So the story of this camera starts with Full HD video. By most part my experience with this setting has been positive. The colours are nice and vibrant and motion in 60 fps is fluid as expected. Low light performance is fairly decent as well. This is a parking lot at night with the regular fluorescent light. All is visible with acceptable quality. And in complete darkness, things are under control. So as a dashcam at night, this is still a viable solution. Staying in the topic of lighting. Transitioning from light to dark, the camera performs well too. Now I’ll talk a bit about the image quality in general. You see, in the 16mp sensor, the megapixel count hardly matters. All we need is 8.294400mp to achieve UHD resolution. For true 4K we need a bit more, but never mind that, controversy. While count of pixel is not the main factor, there is some quality difference that seems to matter. The M20 also does 2K at 30fps. It works as we expect. The nature of picture quality as we discussed is there in this mode too. The camera allows 2, 4 and 8 times slow motion. A video is created automatically presenting the slow motion. However, you can equally record in higher frame rate and slow the video down in post. In 720 mode it does the 2x and 4x modes and they work fine. In 8x a few things happen, the aspect ratio changes, but that is resolution as advertised. The pixelation is also expected out of this lower resolution. However in this mode, the stabilization stops and the field of view is really wide. The video otherwise is free from defect. In the last review, the 5000x had vignetting in this mode, possibly due to lens issue. They fixed it. Yaaaaayyyy. Gyro is a very important feature of the camera and It works like a charm. We do loose a little bit of field of view due to room needed for correction. More on this topic has been covered in a separate video regarding MEMS devices such as a this gyro. In real world where often we will be holding the camera by hand, or be involved in extreme adventure type exciting stuff. The gyro will be there to stabilize the shot. With regards to going under water, the waterproof case has been improved as well. The lock has been simplified and clamps shut with more force. Definite innovation there. Also on a side note, there is this selfie stick you can get from SJCAM with additional remote for selfies and such. Selfie sticks are not my thing, but it did come in handy to dip the camera under water, so I’ll call it dip stick.. Haha lok. For those who wants to consider it, its made well enough. And all plastic construction means sea water did not effect it. But, the review is not about the accessories, lets get back to the camera. Underwater it works just as well as it does above. And this is a part of the camera’s job description to get right. While recording video, it of course records audio as well. It is expected that a camera microphone is usually not the best, but the M20 does not disappoint. 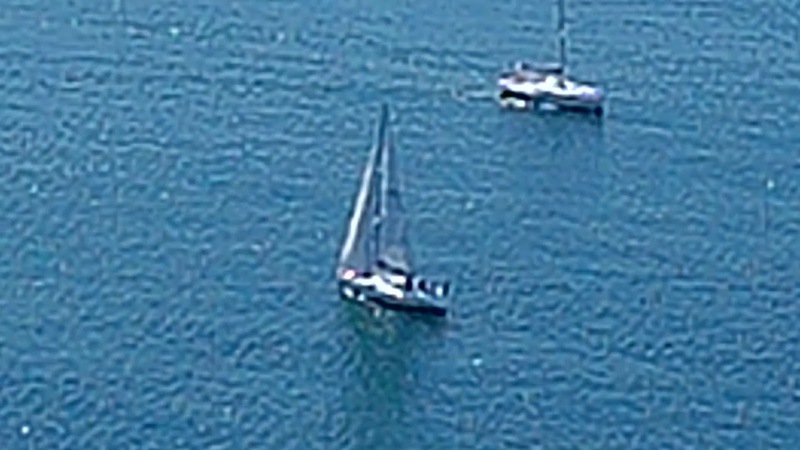 Digital zoom also exists up to 8x. Well, there is no other way of putting it. 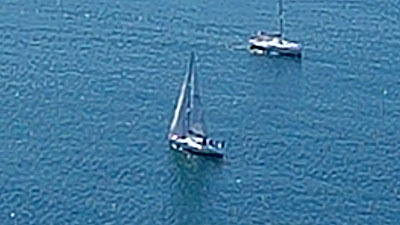 Digital zoom is as bad as it sounds. But its there in case if you need it. Time lapse has been a difficult thing as well. While it does time lapse, or video lapse as they refer to it. The issue is that the battery does not last for hours and so forth. Somehow, it stays in its full power mode and runs dry in matter of an hour. So you can’t leave it running for the whole day etc. The pictures it takes is reasonable. For reference etc, its fine. Lets face it, we don’t really want this camera for its still photos, now do we. I did not forget about the 4K, only that I truly believe that this is the right section of the review to discuss this feature. The cons section, and the word con is fitting. Lets get one thing straight, there is no 4K here. 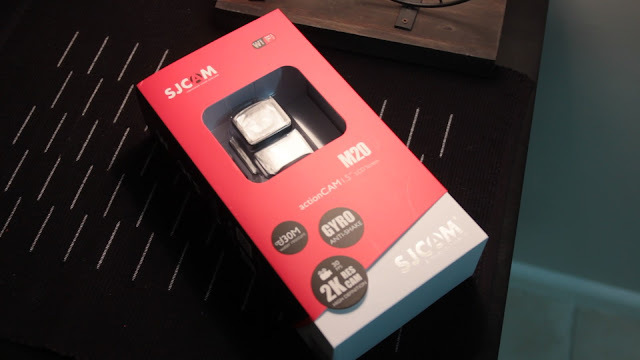 There is a resolution higher than 2K, but by manipulation SJCAM is trying to convince us that this is 4K. I have covered the same subject with the 5000x. Same marketing strategy, same deceptions. Ask a salesman the question, is this 4K? What will he say, yes it is, because he needs to sell the product. I am being a bit harsh, folks please bare with me a moment, dear SJCAM, the camera honestly delivered everything that it sets out to do, until this point. I know, business is tough its a dog eat dog world. But please dear SJCAM, next time bring us a 2K camera. Don’t worry about the 4k, unless it is genuine. I can recommend this camera. On basis of its image quality. 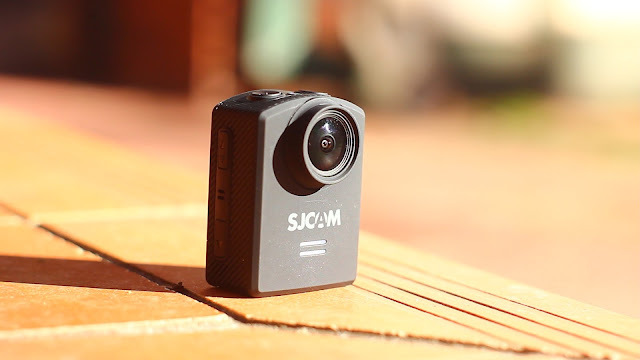 Its built well, and all of my SJCAM cameras are still fully functional and I use them often. This is a decent product if we look at its good attributes. Other than the false 4K issue, there is not too many things wrong with this camera. In fact most things about this camera is right.